1. 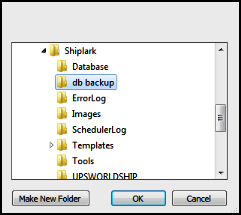 It is highly recommended that you keep take a regular backup of your Shiplark database so that the same can be helpful in the event of unforeseen computer failure or other such circumstances. You can take regular datewise backups and keep them on a removable disk. 2. 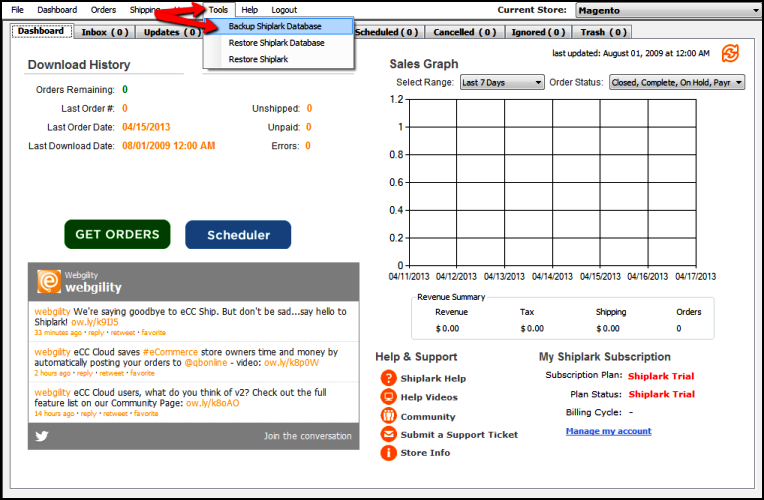 You can also use the Scheduler to perform automated backups to the Shiplark database. 2. Create a folder and give it a name of your choice. Please remember that it is suggestive that you create this folder at a location alternate to your computer (Pen Drive/removable disk, alternate pc etc) or else you create the folder on the same computer with Shiplark, but later cut and paste it at an alternate location. 3. Once the folder is created and Shiplark creates the backup, Shiplark will tell you that the database has been created successfully.